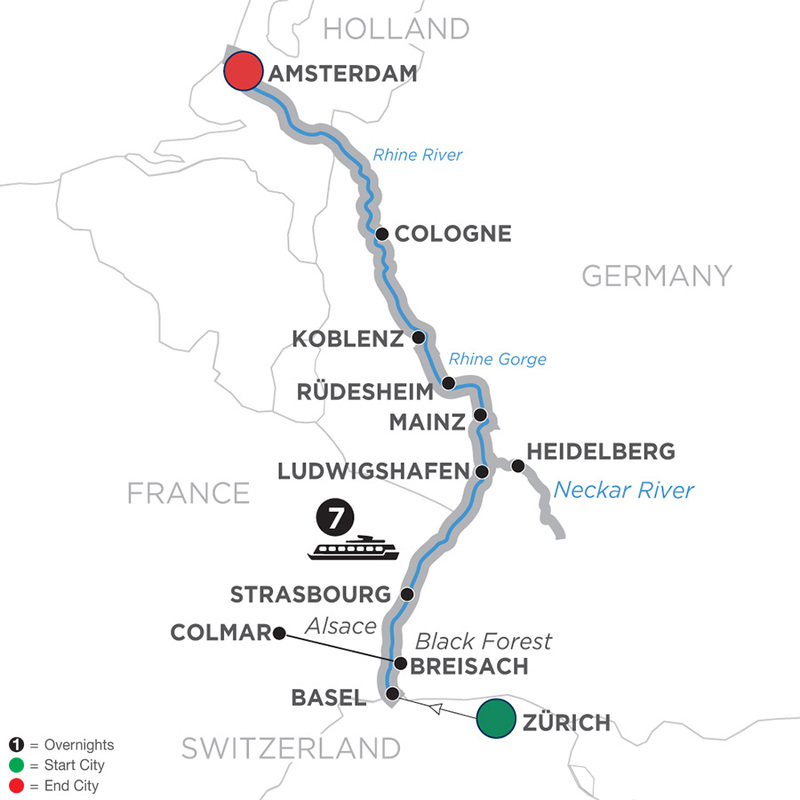 One of Europe’s most legendary rivers awaits on this mesmerizing journey along the Rhine. Enjoy guided sightseeing in Strasbourg, Koblenz, and Cologne, as well as an excursion to Heidelberg, Germany’s oldest university town. Sail through the dramatic Rhine Gorge, the most beautiful stretch of river dotted every mile with castles. Visit the Gutenberg Museum in Mainz, see the legendary Lorelei rock, and enjoy a canal cruise in splendid Amsterdam. Be sure to pack your camera so you can capture the romance and splendor of this magical journey. Flights into Zürich must arrive before 3 pm. Guests must be on board ship by 5 pm.